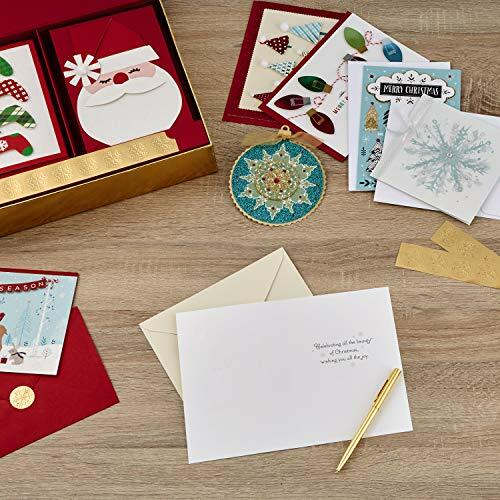 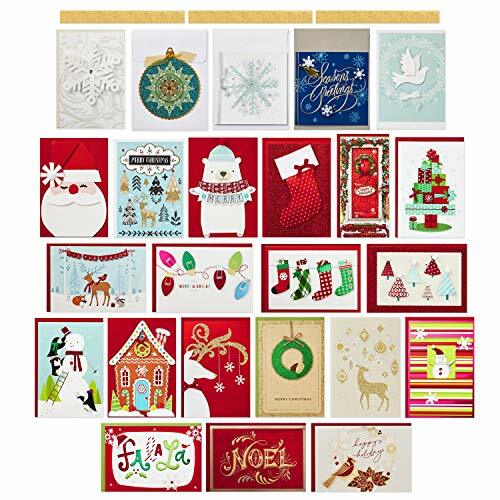 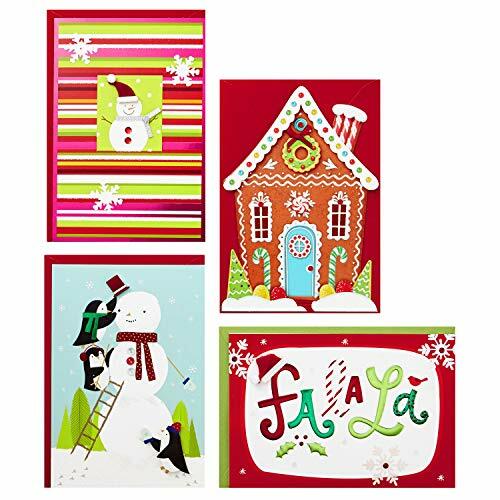 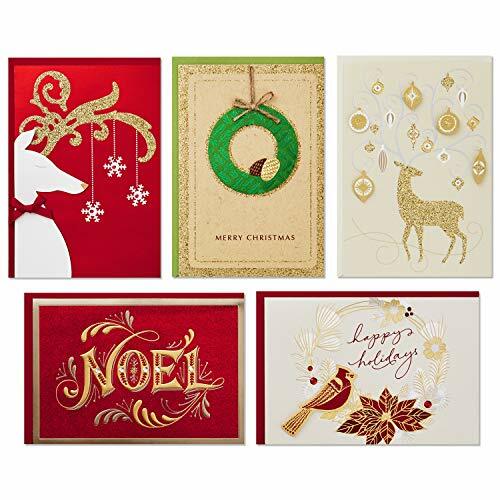 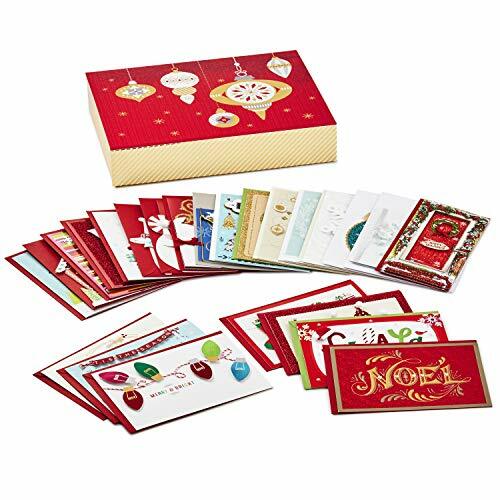 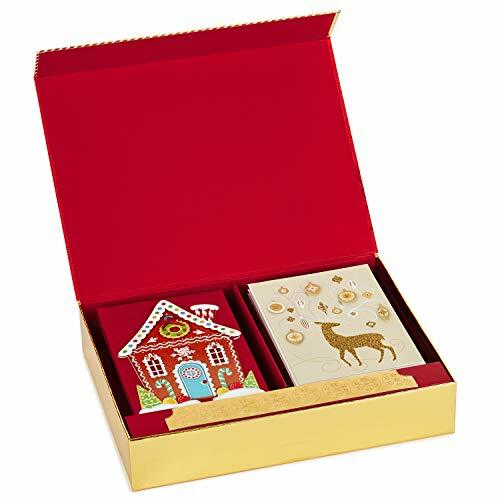 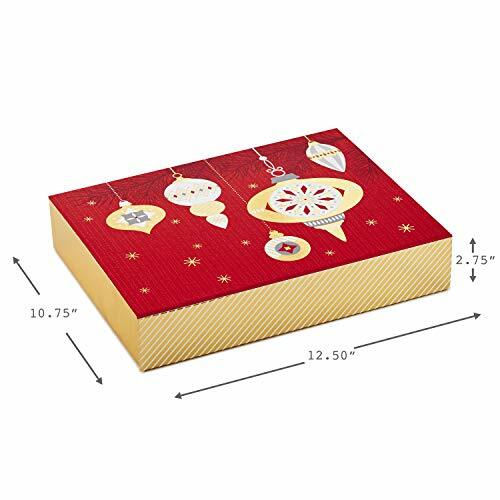 Festive boxed card set contains 24 individually-wrapped greeting cards with coordinating envelopes and gold Hallmark seals all packaged in a decorative storage box. 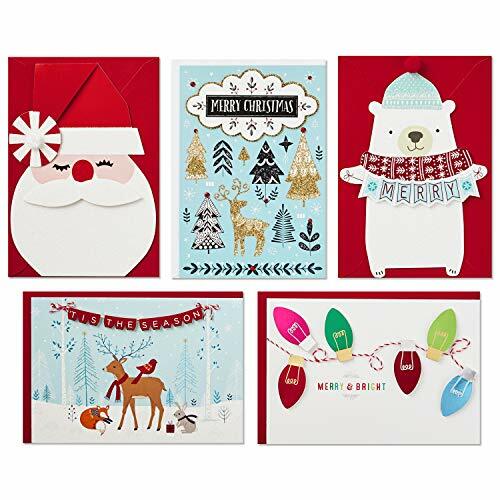 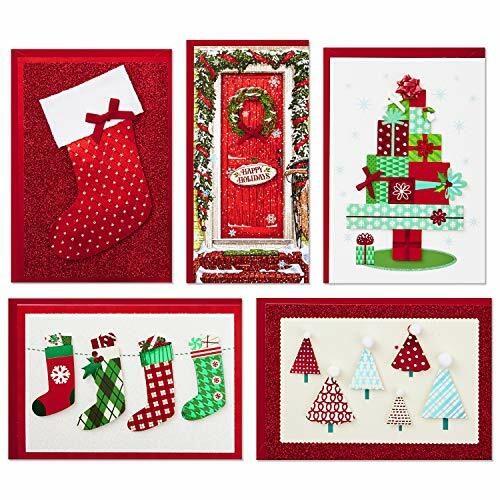 Premium cards feature designs with seasonal favorites including Christmas lights, a gingerbread house, reindeer, Santa Claus, stockings, a wreath, and more. 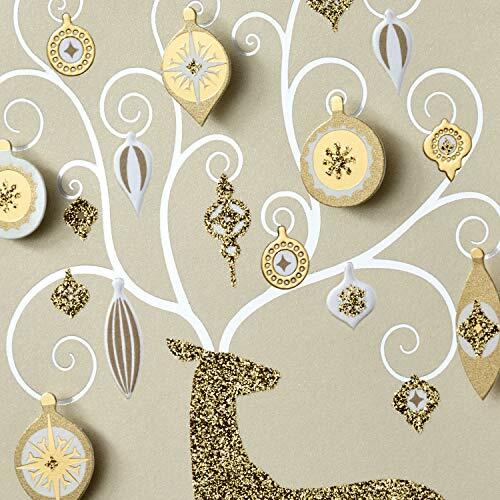 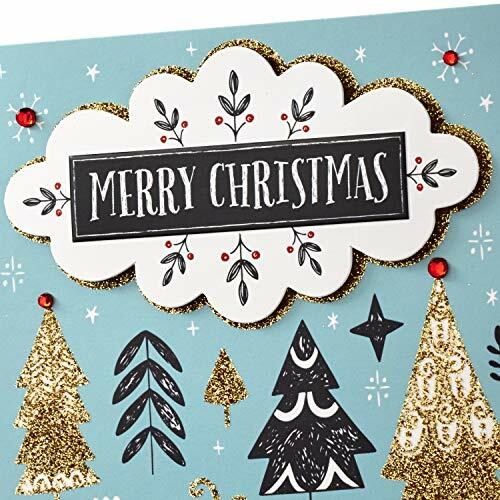 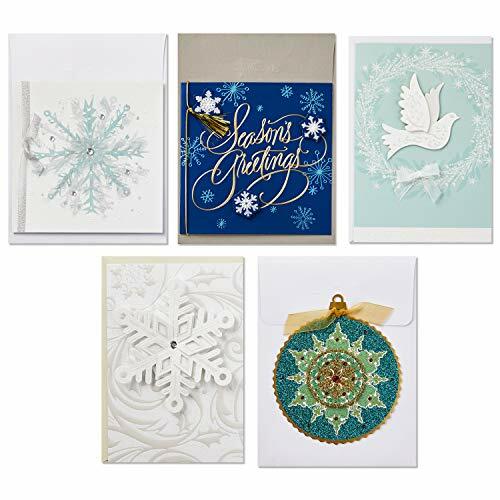 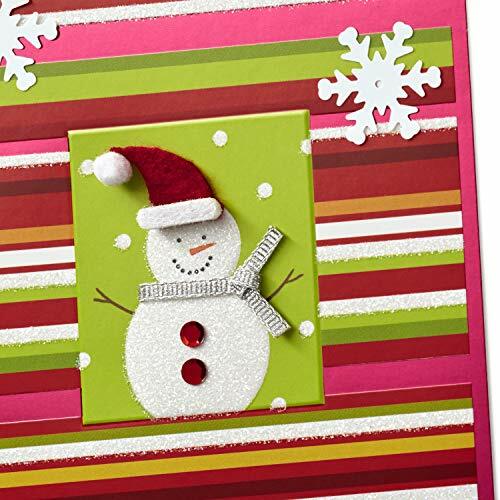 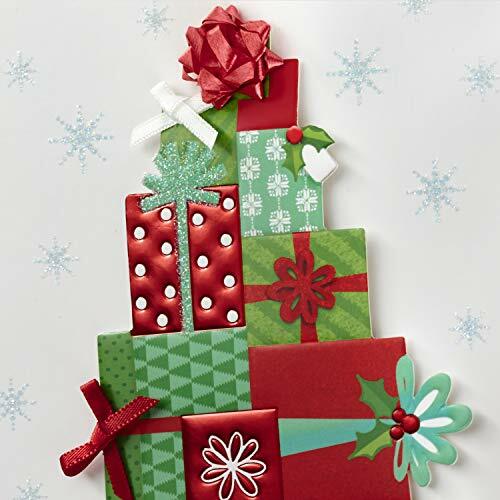 Handmade holiday cards also include beautiful embellishments like attachments, ribbon, foil, and more.